Happy Wednesday! 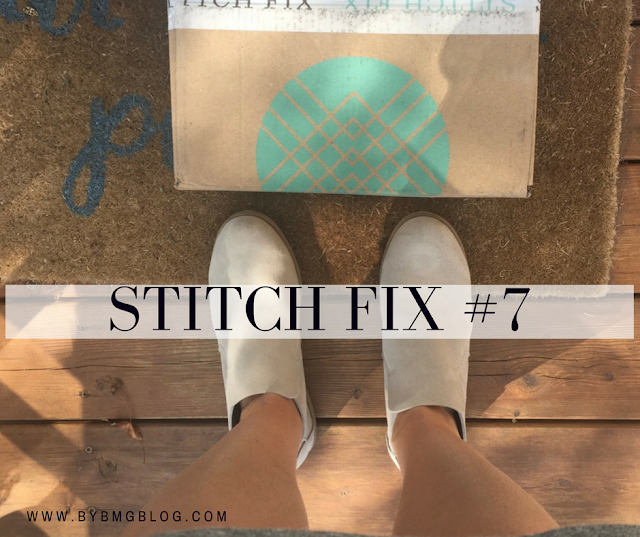 It's time for another Stitch Fix review! For my latest fix I requested summer pieces that could be worn with a bra, specifically rompers because I love a good romper and it's a one and done outfit! This post contains referral links which means if you purchase though my link I will get Stitch Fix credit. 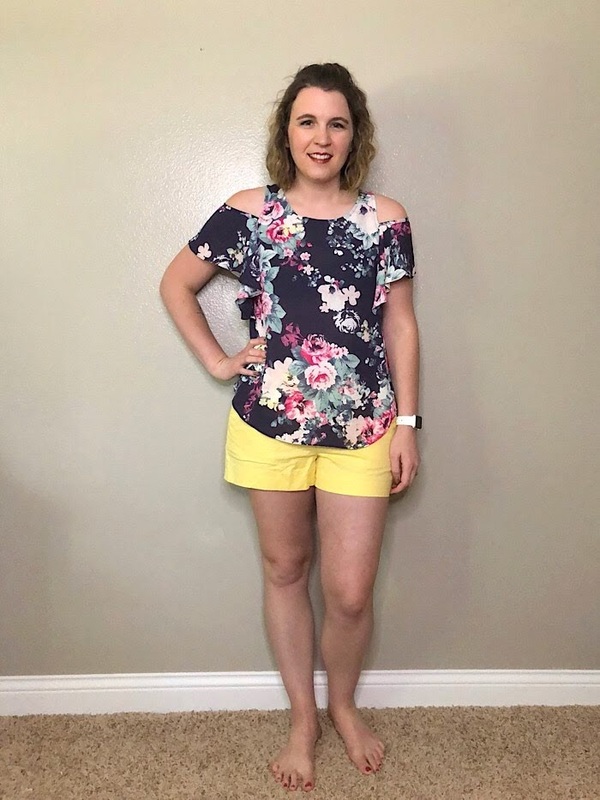 If you aren't familiar with Stitch Fix, you pay a $20 styling fee, then a stylist selects five items based on your style profile and any notes you leave with requests for things you'd like. 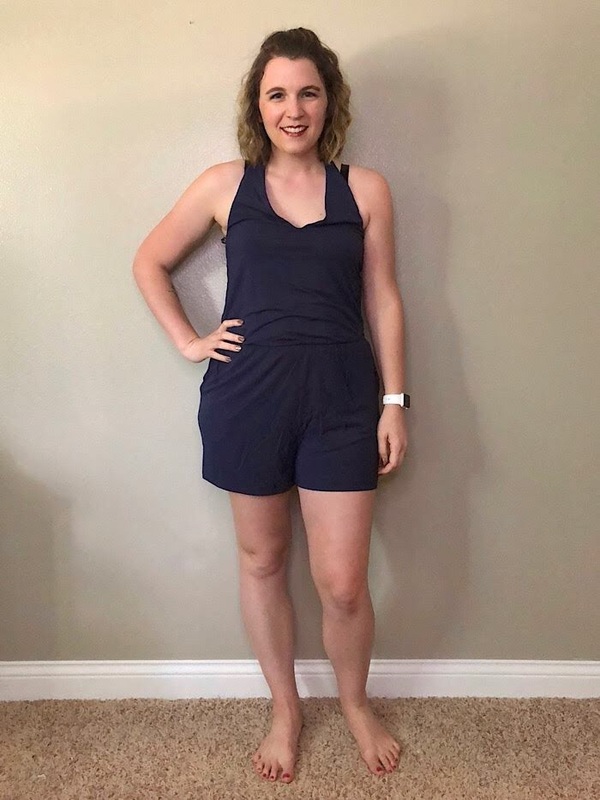 In this fix I requested rompers that could be worn with a bra. 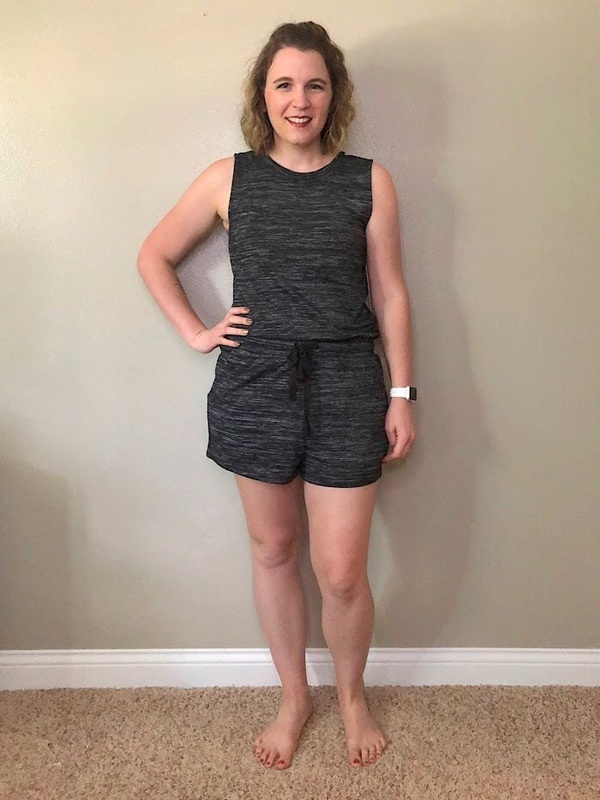 This one was spot on, but I already have a SUPER similar romper in gray and black, so keeping this one didn't make sense. Had it been a different color, it would have been a keeper! This romper was cute, but with the halter, It can't be worn with a normal bra. I don't love halters. The fabric on this one was so comfy and had it been a normal sleeveless top, It would have been a keeper. 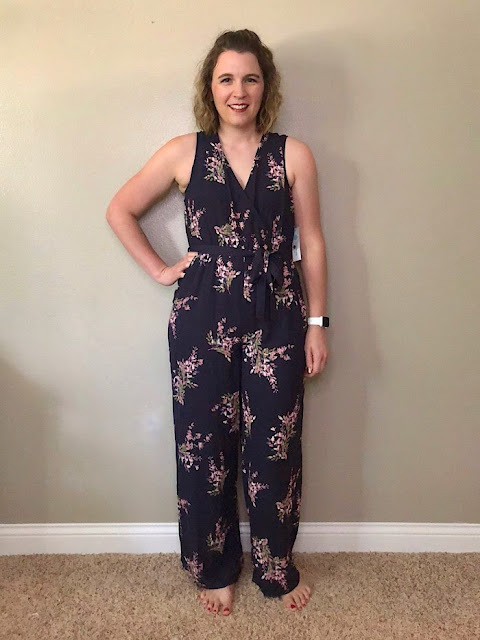 This jumpsuit was so cute, but it was a little tight in the torso. I felt like it would not be comfortable. It also wasn't very easy to get in and out of because it didn't have a lot of stretch. If it would have been a little longer in the torso, I probably would have kept it. I love the dark background with floral. When I first peeked at my box, I didn't think this would be the keeper, but it was. 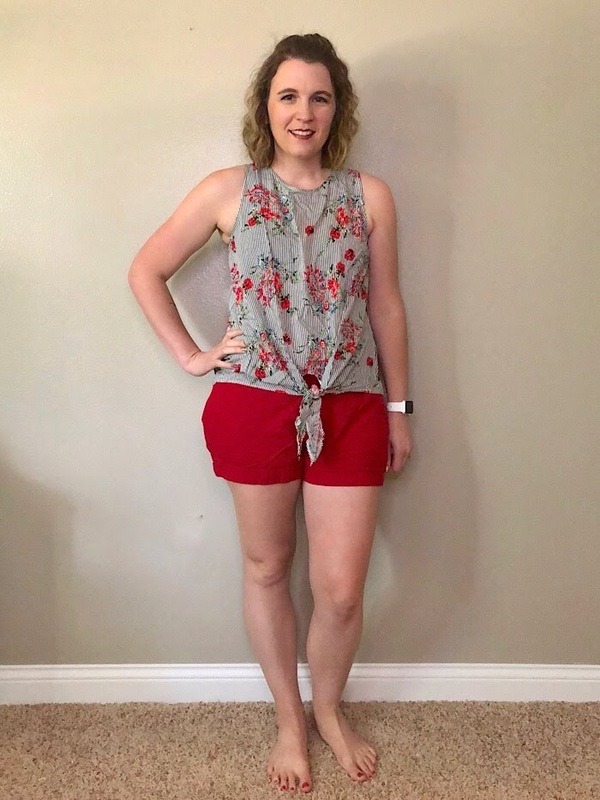 I love the pattern mix, it pairs well with these red shorts, and I could see myself wearing it with jean or jean shorts, too! I was happy that my stylist stuck with my request for thick straps. This top was super cute, but I wasn't a huge fan of the ruffle going below the arm. The price was great, but I thought the other top was more up my alley for summer. All in all, it was a pretty good fix. Have you tried Stitch Fix yet? If you want to try Stitch Fix for free, use this link to get your first styling fee waived!